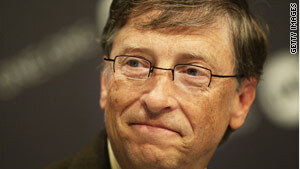 Microsoft co-founder Bill Gates says his tweets will include information on his foundation. In the minute it took to write the sentence above, 230 more Twitter users added Gates to their feeds, bringing his total to 160,264 by early Wednesday. Twitter has put a "Verified Account" seal on the feed, indicating it has checked and determined that @BillGates indeed belongs to Gates. Several fake accounts have, until now, claimed to be Gates. Since stepping down as chief executive officer of Microsoft in mid-2008, Gates has devoted most of his time to the Bill and Melinda Gates Foundation, a philanthropic organization.